Old Bones by Ian Roberts is a story of two families, one Jewish and one Catholic, who forge a friendship in politically tense London in the early part of the twentieth century. 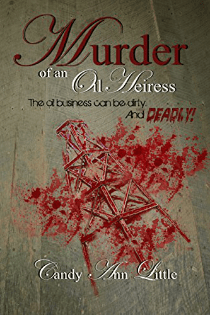 In Murder of an Oil Heiress by Candy Ann Little, Mallory Dillingham has been raised to be an oil baroness. She has been spoiled her entire life, and there are no lines she won’t cross to get what she wants and to get it now. She lies, cheats, blackmails and works at destroying marriages. Collateral damage is nothing to Mallory. Human weakness is a gift. Will she get want she wants or will she only succeed in setting her family on fire?